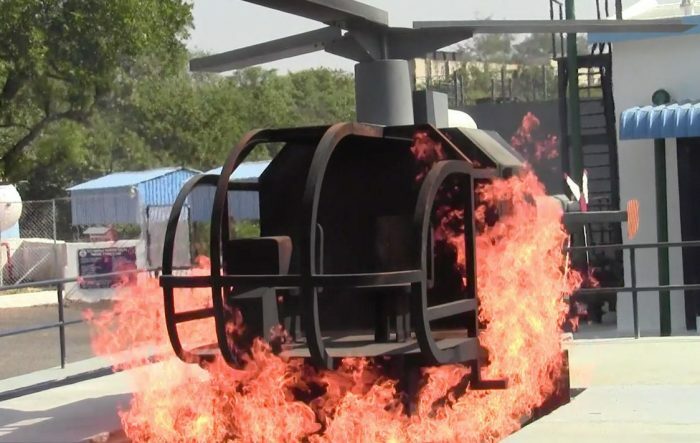 Our modular and mobile fire training systems can replicate real-life experiences with realistic but controllable flames. 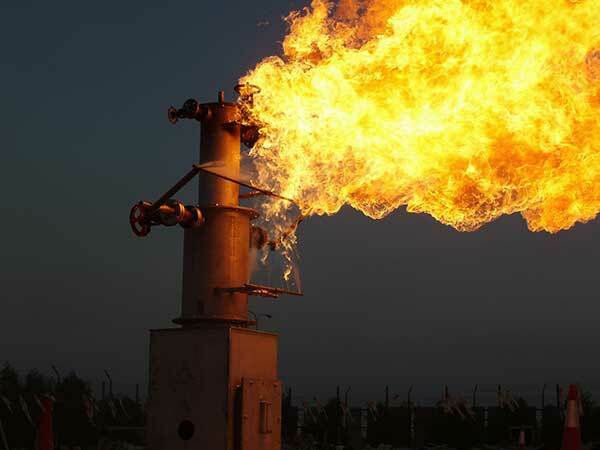 In addition, our LPG fuelled burners ensures very low emissions. 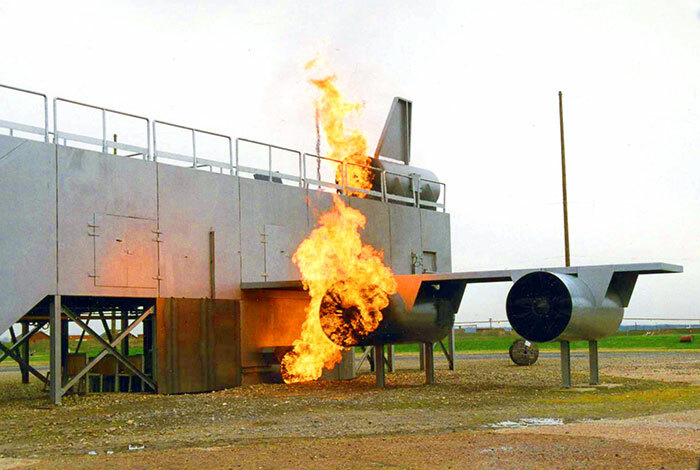 As a company steeped in the manufacture of combustion related products for the oil, gas and chemical industries over the last 30 years, we have accumulated a bedrock of technical expertise from which our firefighting training systems have evolved. 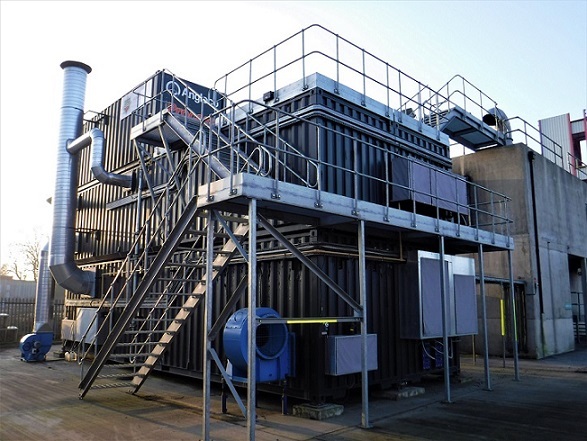 The resulting clean burn technology expertise now goes into our LPG fuelled burner designs. 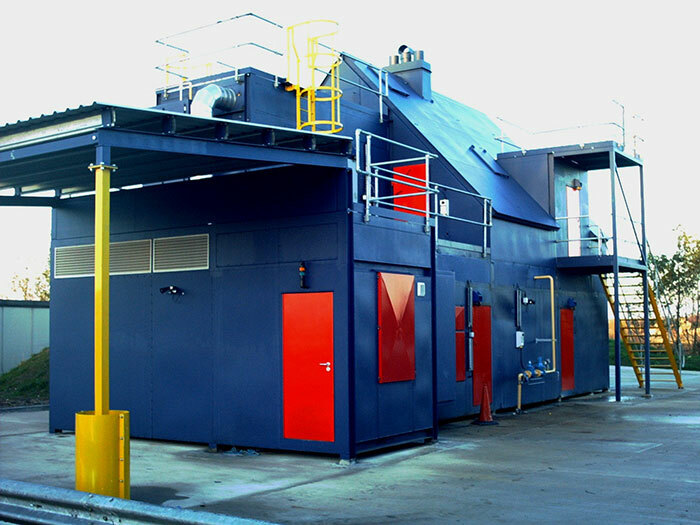 Therefore, Process Combustion offers units with realistic fires, instant shutdown, minimal clean-up and finaly low emissions. 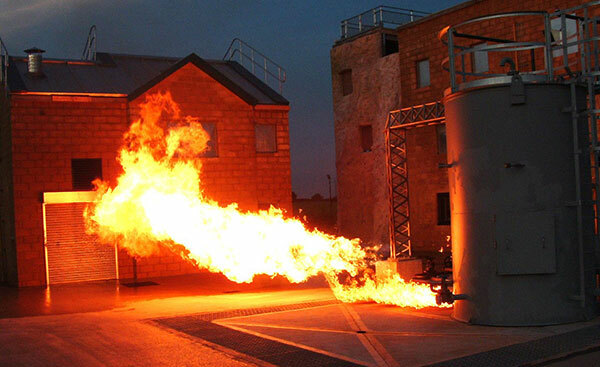 Most of all, our firefighting training equipment is safe, proven and reliable. 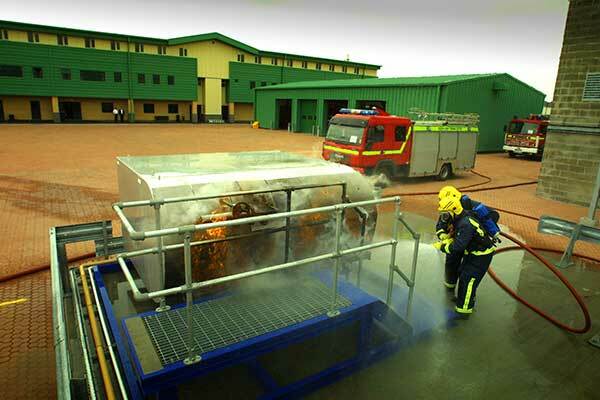 We have created an effective range of modular and mobile fire training systems. 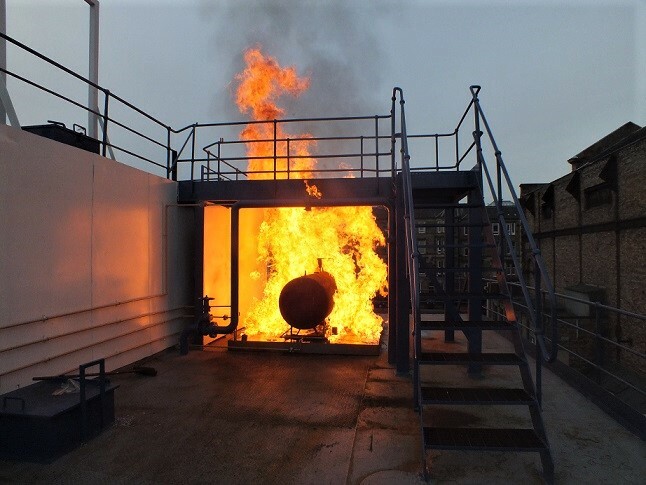 Different hazardous fire environments including buildings, ships, aircraft like planes or helicopters, various industrial equipment and other units can be replicated. A variety of add-ons are available to add authenticity including features such as doors, windows, access hatches and access stairways. Our structures can be arranged in single or multiple floor levels with in-built platforms to enable ladder drills and high work training. 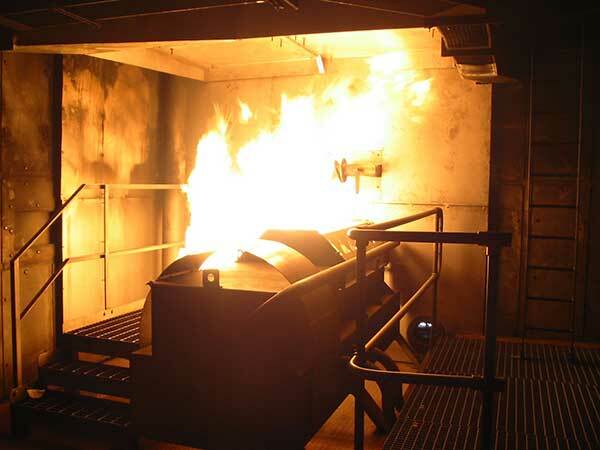 Conditions such as flashover and rollover can be created with smoke, variable lighting, sound systems, heating, humidity controls and other special effects to increase the realism of a hazardous real fire environment. In addition, if real or artificial smoke is required as part of the training package this can be added with clean up systems. 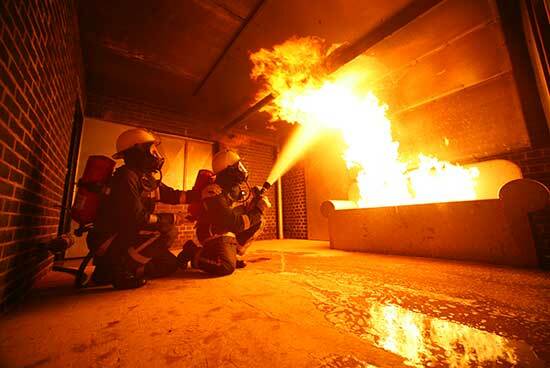 Process Combustion’s ability to stop and re-start different fire situations through our remote control, hand held system allows training officers to regulate the fire’s duration and intensity according to the competency of the firefighters being trained. It also means being able to either re-configure the fire or move to a different fire scenario without the need for lengthy clean-up time. In addition, multiple fires can be staged simultaneously. 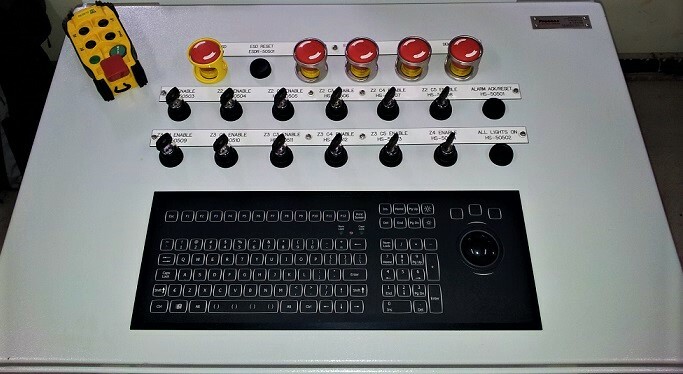 Our custom made control systems are designed to internationally recognised standards and are built, tested and commissioned by our own in-house engineers. 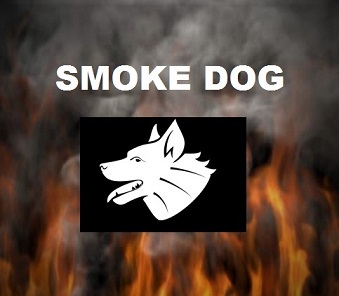 With our new clean up technology ‘Smoke Dog‘ we can capture smoke from carbonaceous unit and clean (oxidise) it. 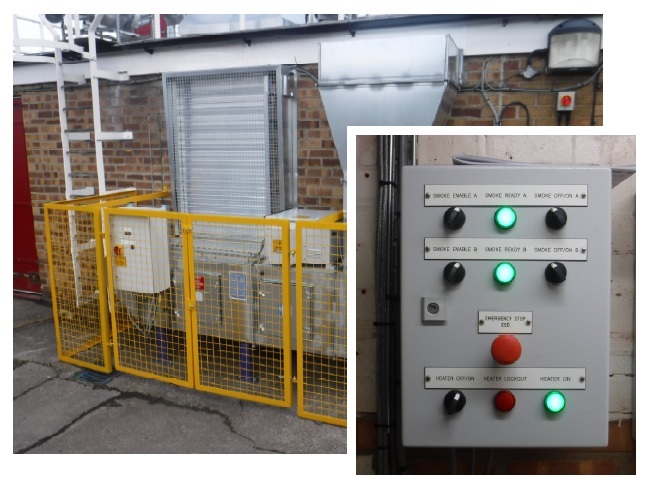 Our system can eliminate the visible smoke and odour produced by burning carbonaceous materials used in many firefighting training facilities. We offer low running cost and low maintenance packaged product that is designed to be offloaded and be fully operational on the day! Famous name clients include the Royal Navy firefighting schools at HMS Excellent and HMS Raleigh; Indian Navy, Qatar Petroluem, Mearsk, Saudi Border Guard, Singapore Civil Defence; RAF Lakenheath, South Wales Fire and Rescue Service, Cheshire Fire and Rescue Service, Dorset Fire and Rescue Service and North Yorkshire Fire and Rescue Service amongst many others.